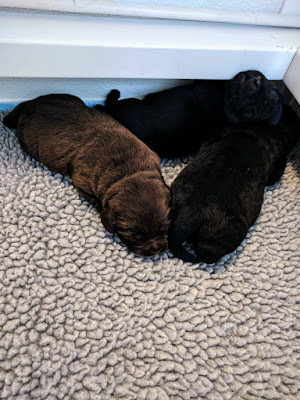 Sunset Labradors is a small hobby breeding program dedicated to breeding healthy, sound, intelligent Labradors with correct conformation, classic temperament, and a moderate energy level. I have one or two litters per year. My dogs are the American show/bench Labradors, often referred to as English Labradors. I breed blacks and chocolates. Current and planned litters are posted in the Litter section. A completed questionnaire is required to be considered for one of my puppies.